We are a group of travel and photography enthusiasts who specializes in journeys off the beaten track for like-minded people to experience our unique itineraries. Our mission is to ensure that your travel experience expands your soul, refreshes your perspectives and rejuvenates your spirit. Join us for a journey of new beginnings, friendships and an enriching experience! With a max size of 16 persons in a trip, XA Travel stay true to its core value to give participants the best bang for their buck without the frills of a typical travel agency. You can be sure your investment will be optimized. We differentiate ourselves by creating a platform for people to share and express their passions through immersing themselves in the local culture and lifestyles, and befriending the locals. We always believe that through direct interaction with the local people and the environment we journey through, the traveller will be enriched in their understanding and appreciation of a greater community. Our respect for people and their cultures has always generated new ideas in our tours to see Asia in its purest form resulting in the best experience your money can buy. All destinations and travel program are carefully first travelled by our tour leaders. The specific requirements and objectives of our clients are weighed against the itinerary and journey experiences to ensure a customised fit. A unique and customised program is then created to Wow our clients and optimise their travel experience. 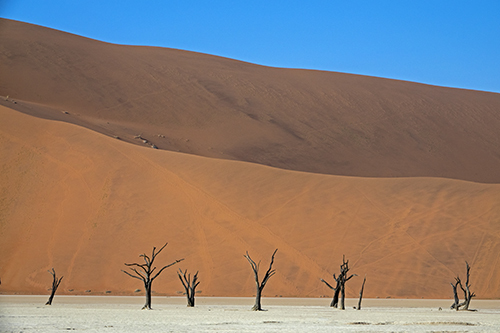 XA Travel guarantees our itineraries will not duplicate or resemble any commercially available travel programs. You can count on us for a once in a lifetime experience. I had first joined the photo outing organized by Michael after looking at many of the previous outings he had organized for ClubSNAP Singapore, which looks loads of fun. As it turns out, it was more fun than the pictures. From shooting at bakery way before dawn while the bakers were preparing the first bread to the busy market, Michael just seems to have a stupendous rapport with everyone, it made it really easy and comfortable to go around snapping. Thoroughly enjoyed. 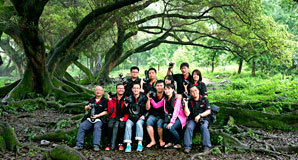 I joined the China Xiapu photography trip in May 2012. Michael was a great organiser and made sure everything went well. It wasn't just about photography, but about having fun and making new friends as well. It was an awesome and memorable experience! Michael's photography trip was totally different from others. I can feel more interaction not only among the group but also with local people who we shot. I admired Michael's street photography style because he is not only just taking photo but also learn to understand about the culture, work, religion and language. Through his trips and outings, I have also made many new friends from different working backgrounds, nationalities. Michael is a great travel planner. He had good knowledge and does his homework before embark the organized traveling. He knows what a traveler and a photographer wants! Traveling with him on many unconditional trips had met my expectations on great photography shooting opportunities, good local food and brought humors among all. Willing to share his photographic knowledge both on the composition of a picture and the camera market! I had joined one of Michael's photography trips. His familiarity with the region, out going personality, and passion made the travelling experience a joy. The trip was well planned taking us on a drive on the coastal area of Malaysia. With Michael's lead, we were able to interact with the local villagers and get a sensing of their lifestyle and culture. This is hard to come by with typical travel tours and I truly appreciate the experience as it agrees with my notion of travelling. Xing Asia only deals with one thing, that is to provide authentic and value-packed Asia travel experience. Why not drop us an email or for a chat? You never know where it might take you! Business Reg. No. 201308549G | TA Licence No. 02408 | Copyright © XA Travel (Singapore) Pte Ltd. All Rights Reserved.